Imagine being married in a beautiful small redwood church that is over 100 years old! 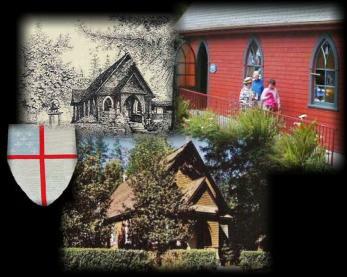 St. Andrew's Episcopal Church of Ben Lomand is nestled in the San Lorenzo Valley redwood forest of the Santa Cruz mountains. It is easily accessible and has an abundance of charm. The interior of the church is lovely with its rich wood glow, padded pews and stained glass windows. The church, which is suitable for weddings of 120 people or less, allows everyone to have a good view of the ceremony. This quaint church, consecrated in 1901, lends itself beautifully to pew bows and other decorations that are in keeping with your wedding color schemes. 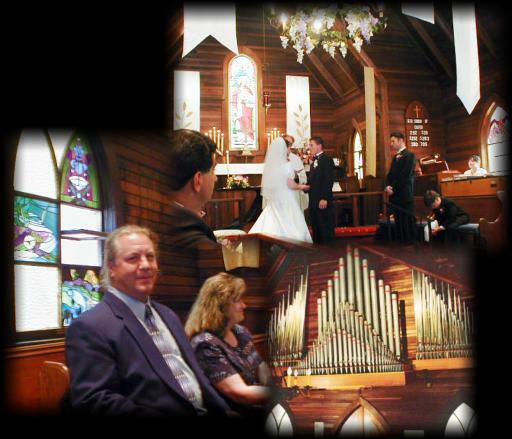 The church organ is unique and can provide a wondrous musical back drop for your special day. The grounds of St. Andrew's Episcopal Church are beautiful. Surrounded by redwoods and alive with roses, camellias and many other plants, it lends itself to wonderful photo opportunities...especially the arbor. Whether the photograph is formally posed or candid, the pictures for your memory album will be enhanced by the location. There is also an outdoor patio with lovely stone benches surrounding the church bell that is ideal for the gathering of those attending the wedding and/or the taking of photographs before or after the service. On the grounds of St. Andrew's Episcopal Church is a parish hall. 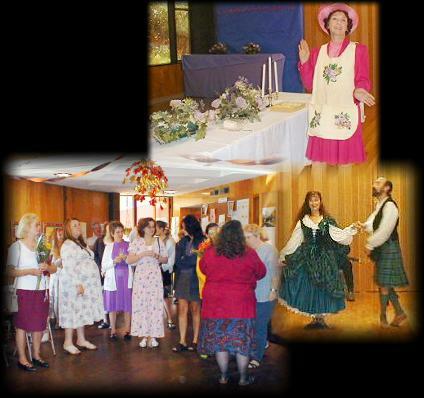 The parish hall is a wonderful place to hold a reception. There is plenty of room for guests and dancing. The hall can be made charming with your special decorative touches for the wedding reception. In the past it has been used for both stand up receptions and seated receptions that include a meal. 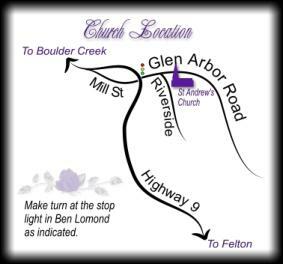 Members of St. Andrew's Church and their children may schedule the church for a wedding and no fees are requested. 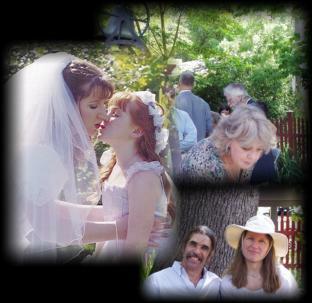 Fixed rates apply to all others: $750 which includes $200 for the wedding coordinator. Flowers and organist are extra ($150 for our organist). The usage of the Parish hall is not included in the above quote. Call (831)336-5994 for further information.